Hey guys! I am wanting to sell my Jet 1220 Variable Speed lathe. I couldn't resist the current sale on a Nova 1624 from Woodcraft and bought it! 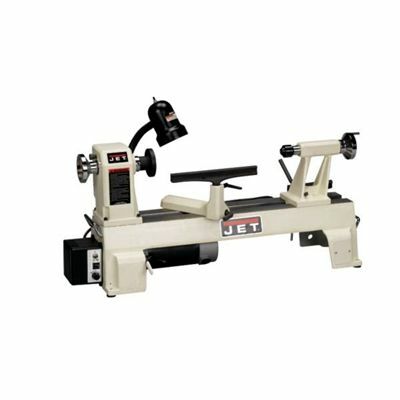 I am asking $450 for my Jet, its 2 years old and in great shape (those who know me also know how meticulous I am with my tools!). The deal includes everything that came with it originally, plus a few goodies. Let me know if you're interested. Thanks! You are an evil, evil man.....when does the new one arrive? Last edited by SDB777; 04-06-2014 at 06:42 AM. I hope it will arrive this week....sadly I can't play with it until after April 15th (tax season) since I work for H&R Block so no hurrry really. I always need "chunks" LOL! I love the wood you have for sale so I am sure I'll be by soon to get "chunked". I know that CL is an option but wanted to give our local chapter a chance to consider my Jet first. I'll be more inclined to "deal" with them first....they rock! I forgot to post the photo's here, but I put them on my FB page...when I have a moment, I will try to post them here to. And maybe when John has a chance he can show off the huge Persian Silk Tree in the finished form(he just turned it green and was waiting on a insert for his chuck). Knucklefish, did you sell the lathe yet? I'm interested. Yes, I sold it last weekend. I do have a Jet 1014 if your interested let me know.